South Lane County Fire and Rescue Board of Directors will be holding a Special Board Meeting on Tuesday May 30, 2017 at 5:30pm at Station 2-1 located at 233 E. Harrison Avenue in Cottage Grove, Oregon. This meeting is pursuant to ORS 192.640(3) the Board of Directors will continue discussion of Board Resolution 17-04 the 2017-2020 Local 851 Contract. South Lane County Fire & Rescue will be holding a Budget Committee Meeting at Station 2-1 located at 233 E. Harrison Avenue in Cottage Grove, Oregon on Wednesday May 3, 2017 at 6:00 p.m.
South Lane County Fire & Rescue will be holding a Budget Committee Meeting at Station 201 located at 233 E. Harrison Avenue in Cottage Grove, Oregon on Wednesday May 3, 2017 at 6:00 p.m. This meeting is to review and approve the proposed budget for Fiscal Year 2017/2018. At this meeting the Budget Committee will listen to comments and take questions from the public. This notice complies with ORS 294.311(32) and 294.401(3) for the purpose of local budget law. 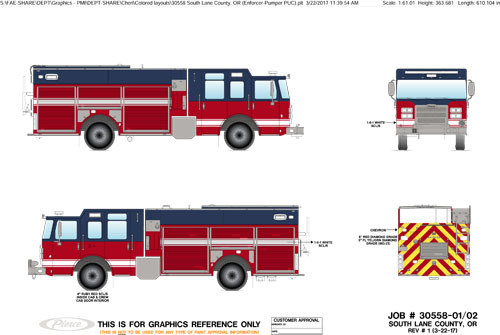 South Lane County Fire & Rescue is happy to announce production on our new fleet is soon to begin! Our new fleet is made possible by the bond passed in November 2015. Considerable planning and research has gone into using the funds provided to the greatest effect. This page will be updated as the process continues. Stay tuned for pictures! On March 12, 2013 at 2355 hours PST, SLCFR units responded to a house fire in the 800 block of Kings Row in Creswell, OR. Arriving units found the attached garage fully involved. The occupants of the house were three adults, two children, a dog, and a cat, were all safely evacuated and assisted by the American Red Cross. The fire in the garage was brought under control and extinguished soon after by the first due engine company from the SLCFR Creswell station. The roof of the attached garage collapsed during suppression efforts. The manufactured home suffered minor smoke and fire damage while the garage and a Dodge pick-up were a complete loss. Fire damage was estimated at $50,000. 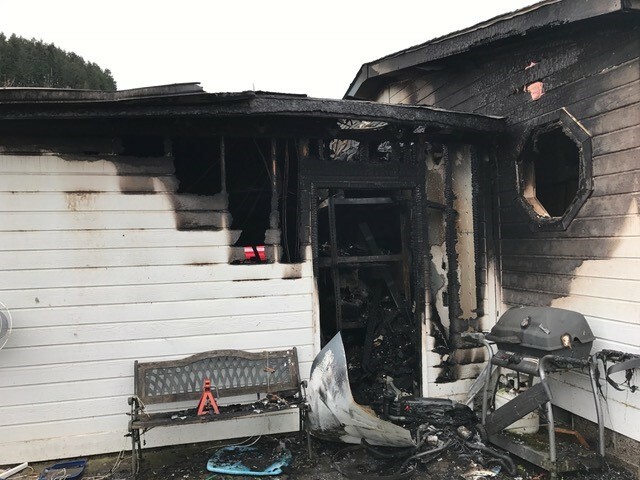 The fire cause and determination investigation revealed an electrical outlet in the garage was the likely cause and the fire has been ruled accidental.